The dream combo is finally materialising. 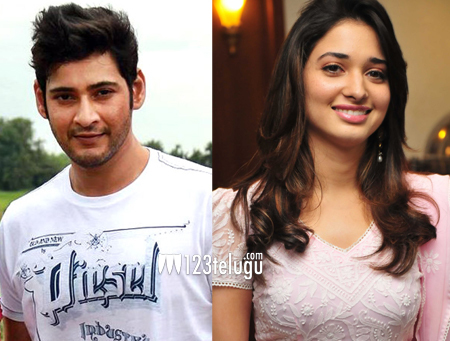 Superstar Mahesh Babu and the very gorgeous Tamanna will finally be seen together. Fans have been waiting for this combo since quite a long time. They will be seen together for director Sreenu Vaitla’s ‘Aagadu’. This movie is being produced by 14 Reels Entertainment Banner and regular shooting will start later this year. ‘Aagadu’ is expected to be an action entertainer with a good dose of comedy. The film will now be keenly awaited by Telugu film lovers. Do you like this combo? Leave your feedback in the comments section below.